Hi! ISO is the final part of the Exposure trifecta, the 3 fundamental ways to control the amount of light to get your desired photo. Check out my posts on the other two parts of the Exposure trifecta if you've missed them: Aperture and Shutter Speed. Traditionally, ISO was the level of sensitivity the roll of film is to light. 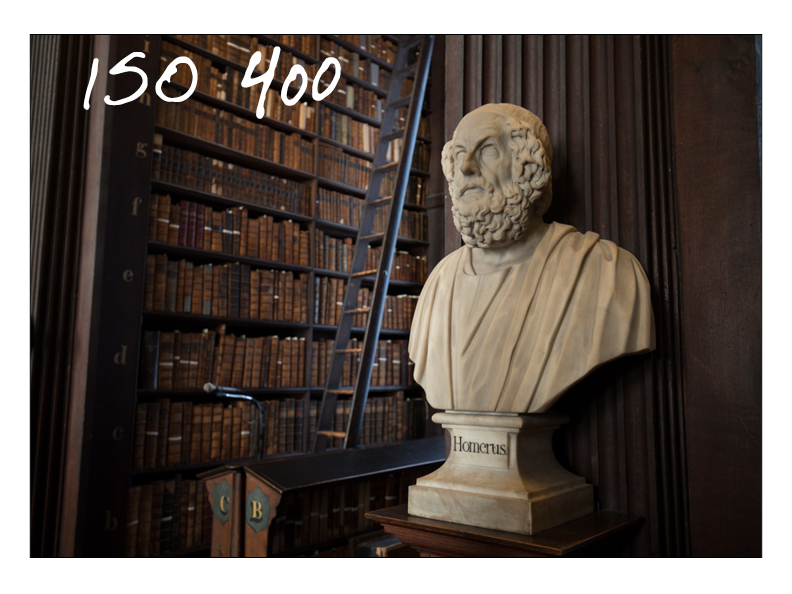 With digital photography, ISO is a measure of how sensitive the sensor is to light. It’s a great tool to capture objects in low light without having to use a tripod. By increasing the ISO, your camera’s sensor is more sensitive to light, thus allowing you to use a faster shutter speed. However, increasing the ISO adds more grain to a photo. 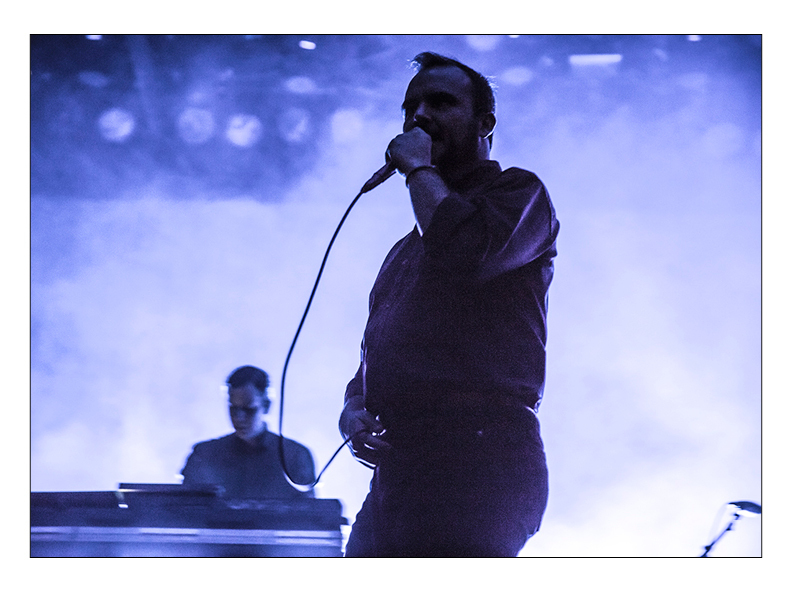 Future Islands at the Fillmore Auditorium - Denver, CO. 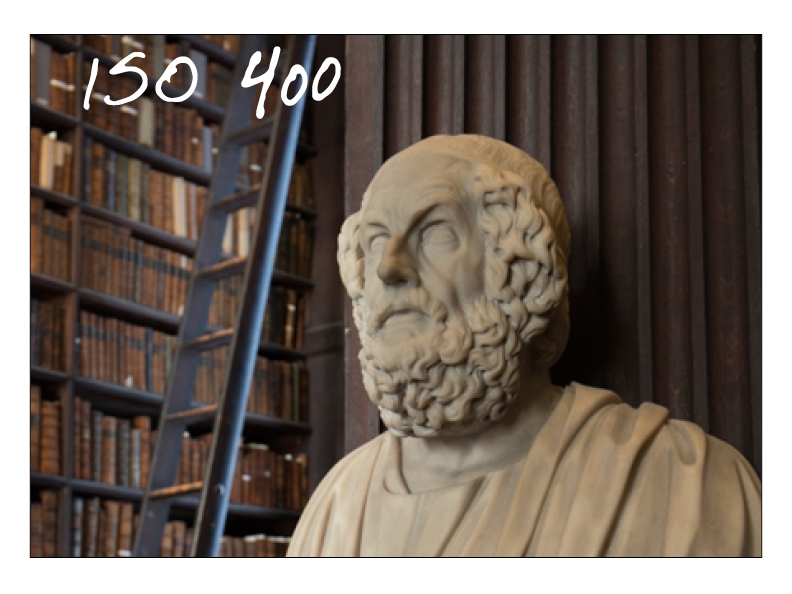 Effects on the Camera: ISO changes the sensitivity of the sensor to light in your camera. 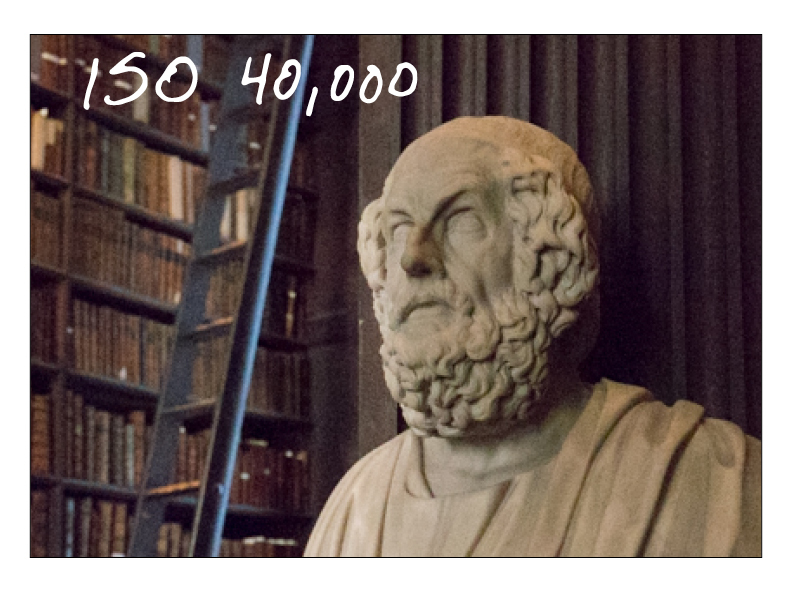 See the examples below from a bust of Homer at the Trinity College Library in Dublin, Ireland. The Low ISO photo has less grain than the High ISO photo. Thanks so much for tuning in! This was the final part of the Exposure trifecta: Aperture, Shutter Speed, and ISO. In normal light situations, I like to keep the ISO as low as possible (around ISO 200) to avoid a grainy photo. However, in low light situations, such as the examples above, I’ll have to turn the ISO up at times in order to capture a photo without too much motion blur. These are the fundamentals of how to control light in your photographs. Be sure to tune into Composition and Lighting to begin taking some awesome pictures!